SNAFU! : Russian May Day Practice. Costas and S300v4 have been posting pics of May Day practice and I wonder what we're gonna see this year. 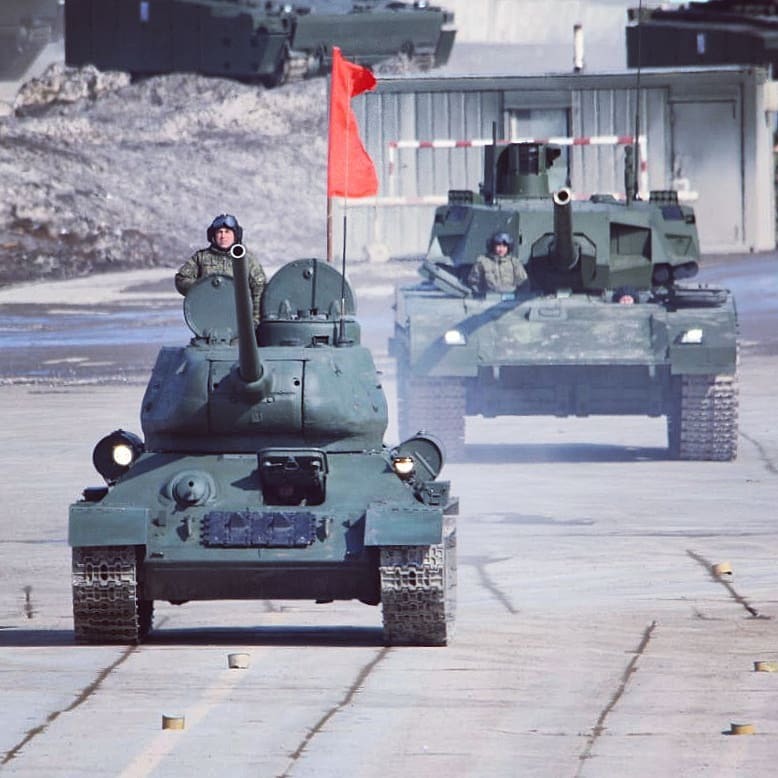 The above comparison of the Armata to the World War Two T-34 is just plain cool. I'm hoping we here something about the status of the SU-57. Would like to see any new variants of the Armata and Boomerang. A bit more visibility on the Typhoon armored vehicle and more. They usually roll this stuff out in bits so we won't have to wait long. More to come!